As Netflix continues to expand its streaming service catalog and position its by-mail business as a secondary offering, it is also hard at work upgrading the user experience on existing compatible devices. The PlayStation 3 is the latest device to see such an update. On October 18, PS3-owning Netflix users will receive an update eliminating the need for a physical disc to stream Netflix on their console. The update will also enable Netflix streaming in 5.1 channel Dolby Digital Plus surround sound, improve the user interface with new search functionality and allow select titles to be viewed in 1080i HD video. For those of you who stream Netflix on your PS3s, is this an exciting update? 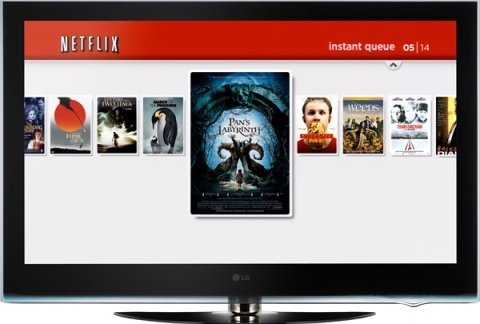 With continual improvements to its streaming offering, is Netflix leaving its current and potential competitors (such as Redbox) further in the dust? Visit the comments and tell us what you think. I stream Netflix on the PS3 and very excited about Monday. Just not having to put in a disc every time is a big step, much less 1080 and the sound improvements. This is another step in Netflix setting up their streaming only option. i use netflix mainly on PS3 even the annoyance of disc because netflix on PS3 has always been better than PC version anyway. with the new updates, i am ecstatic. The Xbox already streams Hd and has never needed a disc as long as I have been using it. We will also be getting the search update as well. Microsoft is including this with its major console update early Nov. And from what I have seen we have a much more streamlined user interface. So the only people sucking anything right may be Wii users. I mean seriously a disc to play Netflix that blows. The new version of the app adds features such as a spruced-up interface and the ability to search for specific titles (previously, you could only browse categories). Nice, but the Xbox 360 still won’t be able to support 1080p streaming from Netflix, nor will it be getting the PS3’s just-added support for Dolby Digital Plus surround sound. I’m sure Xbox users will be getting both features eventually, but for now … no dice. I know we get Hd it must just be 720, so your lucky on that one but this feature is only available for select titles anyhow. And Wii is only SD. Sadface. The article I just read says starting today Oct18 you will be able to stream Netflix on Wii without using a disc. Where did you read that article? Do you have a link? If that’s the case with the Wii. I may just move mine into the other room so we can stream in there also. It is true just set it up and using it on Wii right now. Again the interface is weird but still very cool for anyone who doesn’t have Ps3 or 360. Also good for streaming kids shows in the bedroom. Just wondering if there is a parental controls for this so maybe they could browse just family friendly shows. Where did you read that Wii article? Do you have a link? This is the article I read…. Netflix just sent out a mass email today to subscribers regarding disk free streaming for the Wii. Does this mean that when i play a movie it will not zoom in where you wont see the whole movie. It depends on the title, most of the movies fill the screen (for me anyway). The only one I noticed being full-screen was Monsters Inc. I think also it depends on the size of the TV. Some of the kids shows like Backyardigans were full-screen. And overall its the quality that suffers on the Wii from what I’ve noticed. I am fortunate to have bought a LED tv with all the APPS on it. The netflix movies/tv shows are excellent. Since I do not play games this option is great. I wonder how can someone spend $200 to $700 on a game system and then $50 a game and not have a high definition television set. We got an LCD about 2 years ago for that purpose alone. And now with Netflix streaming and Blu-ray it is even better. Our Blu-ray player has a bunch of apps like Pandora and Netflix, its called Netcast for LG I think.